Why customers should use professional pest control services. 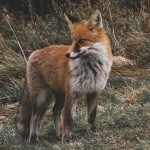 Foxes are very adventurous animals who survive and do very well in different environments. These animals go to look for food at night. It is because they are more active during the evening. They stroll for Carcasses and hunt for small animals such as rabbits and many others. During the Autumn they eat a lot of fruits which fall the trees, and during the summers the Foxes catch a lot of battles. Foxes can be found staying on land, but their primary place of residence is in a den. Both the urban fox and the rural fox have different effects on the people living in the area. Hiring professional help is very helpful when getting rid of pests. If one is looking to prevent the attracts the professionals can do it better. Controlling the fox attack can take time and allowing the experts to handle it is advised. One may choose to do the pest control on their own, but they risk forgetting to retreat and manage the products with care. Asking question is also fundamental in pest control. There are some things that one needs to know when dealing with foxes. Pest professionals are equipped with the need knowledge to eliminate the pests. 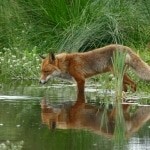 In the United Kingdom, foxes can be spotted living in some towns and in the cities too. The Fox can be seen during the day, and they are not bothered or scared by the human beings. In the cities and the towns, the foxes feed on worms, beetles, raiding bird tables, rubbish and also foraging scarps. They also take guinea pigs and rabbits as well. The urban fox leads a very different lifestyle from the rural fox even though they are the same animal. The town fox faces a lot of problems living with humans and human face some issues as well. Damaging Lawns and gardens which can be very irritating for the owners. Raiding and disturbing bins. It can cause many messes in the premises which are undesirable. The fox Raid the bird tables. A human can be scared and intimidated by the Foxes. Rural foxes are hunters who are very good at catching prey when they least expect it. They wait for the perfect opportunity and attack the victim. There are a lot of stories involving the rural fox attacking birds and chicken. The fox sitings have become so many, and the people in the affect areas are forced to come up with protective measures. Foxes just like other animals bury food when they have plenty. They do this to ensure that they have something to eat when there is no food. They can dig the food and eat. A fox that raids chicken pens will most likely come back for more. A fox can be very tempted by lambs and also young pigs, and if it sees an opportunity foxes, it will not hesitate to take it. Foxes are known to be very focused and aggressive as well. The solution to the Fox problems. Fox problems are a widespread problem but have solutions. The most preferred and known solution to the fox issues s to prevent a fox visit. A customer has to explain and be clear about their fox issues so that hey may get help. At our company, we try to understand the circumstances first to solve the problem. We are very discrete as we also use unmarked cars and value our customers that is why we work closely with them. Some people consider doing pest control themselves, but it can be hard to get rid of some pests. Also, some control measure and products can be harmful to the family in general. We also use the catch cages traps to catch foxes. The cage placed in a discrete position and is used to bait the fox in our experts handle the process of preventing foxes very delicately. Once the fox is in the trap, it can be safely removed. Another primary method of solving the fox issues is calling foxes in and very humanly culling. The technique is widespread in the rural areas, but proper safety and risk assets have to be done. The company makes individual plans for the process that a person cannot make on their own at home. Our experts est up programs that meet the specific need of the client to ensure they get back to their home and feel safe. We take into account the size of the house and the effects of the pests as well. Our staff doesn’t stop at that we also monitor the progress after the treatment. Our company works around the customer’s schedule. Most people are busy and cannot find time to do the work themselves. Also, one cannot just let anyone into their properties. Our company words beyond the regular working hours.and our prices are also affordable. The type of pest infestation doesn’t matter, but it will come back if it is not properly eliminated. If this happens, it is time to contact a professional. We will analyze the threat, inspect the home and come up with a solid plan to help solve the problem in general. Our company is licensed, and our employees are very professional when doing the work. They will also a customer some tips and DIY to help solve some minor problems and prevent future guarantee. We can guarantee no fox sighting after giving us a call. A person who is affected by a pest problem should act immediately. Clearing the risks before it is too late can be very helpful. Hiring a professional is the best way to guarantee the results. Also because of the many years of experience, they can handle any problem that may arise. They can also advise on some Do It Your self-steps to prevent future problems.